If you enjoy betting on sure things, then place your money on a new Call of Duty title launching later this year. The game series has become a juggernaut this generation and is hoping to have a similar performance on the next-generation consoles as well. Today, a website went live that teased the announcement of a brand new Call of Duty title. 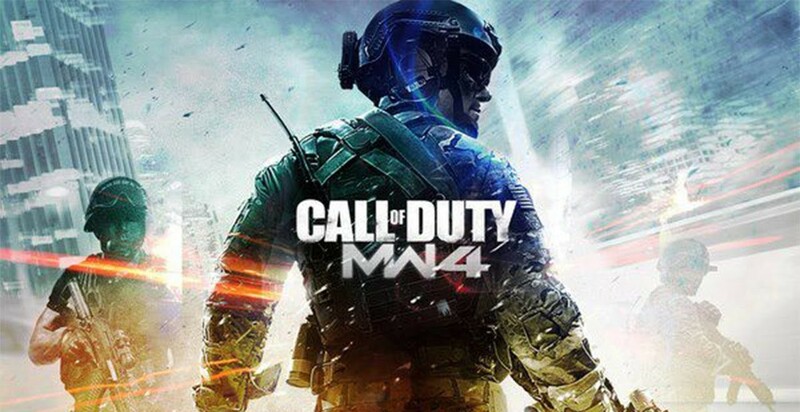 The music and blurry background image would lead you to believe that the game would be Call of Duty: Modern Warfare 4, but is this a tease from Activision or an elaborate hoax? If we take a look at the source code for the website we’ll immediately see red flags. Activision has done a fantastic job of hinting at each title in the series without allowing certain details to be uncovered fully confirming the name of the series. The CSS, or the stylesheet for the website, isn’t referenced via a file. Instead, it’s shown completely in the main source code which would be a mistake typically done by an amateur website designer or coder. Within the source code, you’ll also notice numerous mentions to “MW4” and even a date of “March 21st” for a “reveal”. Again, these are incredibly amateur as no company teasing a reveal would reference multiple files with the game’s acronym. Scan a little further, and you’ll notice that FreeLogs.com is being used as the site’s analytics tracker. A company such as Activision would use an analytics tool like Google Analytics or Adobe’s Omniture before ever thinking of using a web tool without any deep metric tracking. Companies such as Activision typically have a 3rd-party that handles their registrations. UnexpectedReveal.com is registered to James Corney who lists himself as working for Infinity Ward. Scans across LinkedIn & Google show no individual named James Corney working for Infinity Ward, however. The e-mail, which is a Gmail account, is also a giant red flag. Activision’s typical registrar, Mark Monitor, is nowhere to be found. The monitoring and management of a domain registration wouldn’t be handled by an individual employee at Activision if their previous actions are anything to go by at this point. Between the amateur coding, poor registration of the domain, and the use of a poor analytics tracker we’re able to very confidently say that this website is fake. An individual looking to pull a prank on the internet should really spend much more time developing a much more believable fake. If anything, it appears that the website is setup as nothing more than to gain attention for this project. When a new Call of Duty title is announced, what do you hope to see out of it? Be sure to let us know what you think by leaving us a comment below, or discuss Call of Duty in our forums.